At the end of the 19th century, General Porfirio Diaz Mori, president of the Mexican Republic, feared the United States would invade our country from California. The American interest in the peninsula was evident. 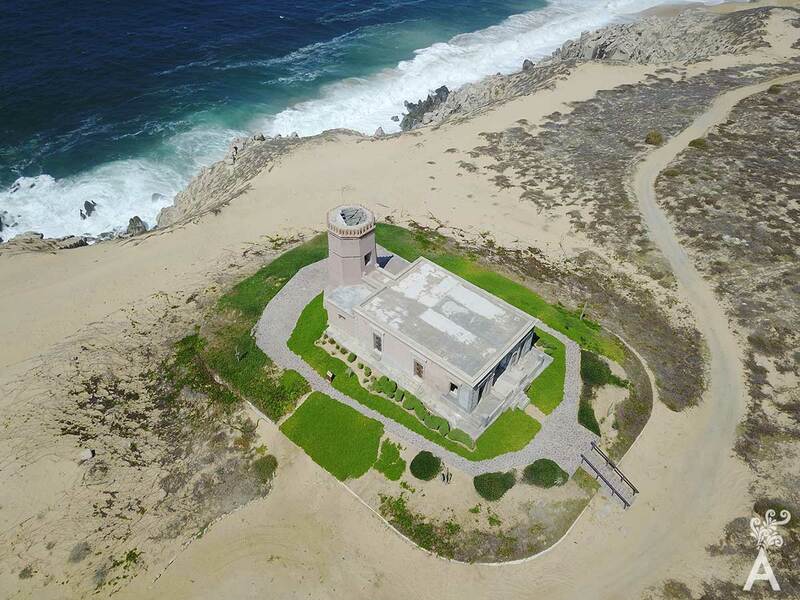 As a result, the general came up with a strategy to place a lighthouse on the coast of Cabo San Lucas as a way of establishing a government presence on the Mexican Pacific. During the time of Don Porfirio, the national policy of progress became part reality. The president wanted to establish communication with the republic through technology by installing thousands of miles of railroad tracks and telegraph lines. Porfirio Diaz firmly believed Mexico should be part of the modern world. To achieve this goal he invested in cutting-edge technology. The lighthouse of Cabo Falso was part of his plan. Cabo Falso is the area known as the end or beginning of the land. 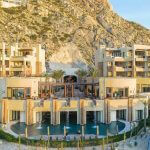 It is the southernmost tip of the Baja California peninsula. From the sea, this location is very visible and was well known by the navigators of the time. It was decided to look for a place in that area to construct the lighthouse. However, due to the terrain, the project became a great technical feat that required strong will. The commission was awarded to the Spanish engineer Joaquin Palacios Gomez who arrived with his wife Petra Magro and their sons Joaquin and Roberto. The project required the uninterrupted surveillance of the waters of the Pacific. To do so meant permanent maintenance of the lighthouse and housing for a keeper and his family. The first task was to locate a necessary water source and construction of a well for the family’s supply. A fresh water spring was found between some nearby cliffs. Next, the terrain was explored for a site near the spring that would allow the construction of the tower and the keeper’s house. A suitable site was found between the dunes and stony ground. Once the map was completed in 1902, preparations were made over the next two years to begin construction. A major problem that arose was the transportation of materials. Everything had to be shipped by boat and the landing area was distant from the construction site. This difficulty was solved with the construction of a railway track that carried wagons. Construction began in 1904 and the lighthouse was dedicated on May 5, 1905. It was a masterpiece constructed with great intelligence and advanced techniques that took advantage of all available resources. For example, due to the impossibility of welding metal at the construction site, a metal spiral staircase was brought by boat and moved by wagon to its permanent site. The lighthouse tower was then built around it. Likewise, given the importance of human subsistence in a remote site, the roof was designed to be a rain collector and two tanks were built under the lighthouse to store water. Another interesting fact was that when the rails were finished carrying all the construction materials, a large section was used to make a structure that served as the building’s foundation. The risk was great. 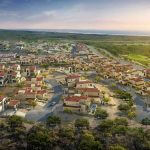 The construction was the first major investment by the federal government in the history of the Baja California territory. In addition, all the mechanical parts and the lights of the lighthouse were the most modern of the time and imported from Europe. The operating parts were exhibited at the Universal Exhibition of Paris France in 1900. They remained in operation for more than 100 years. 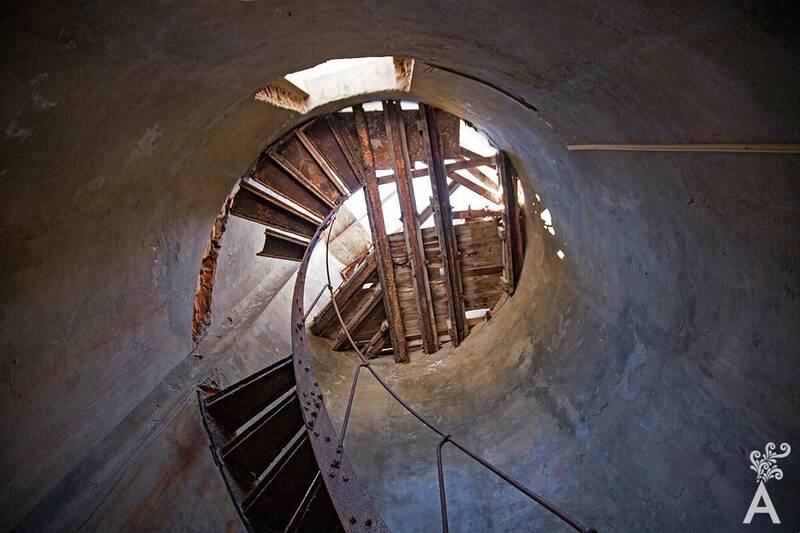 In the mid-1960s, the Cabo Falso lighthouse was struck by a hurricane and became unusable. A new lighthouse was constructed in the same area. However, as a result of this event, the community of Cabo San Lucas named it “The Old Lighthouse.” Today it is protected by a civic society through Yenekamu A.C. 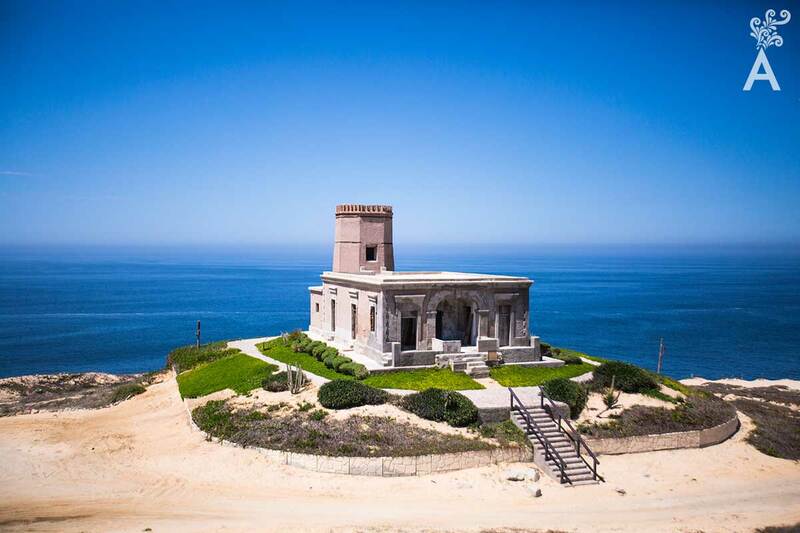 The Old Lighthouse is currently the most important and significant historic monument in the Municipality of Los Cabos. It represents a symbol of identity and local pride.